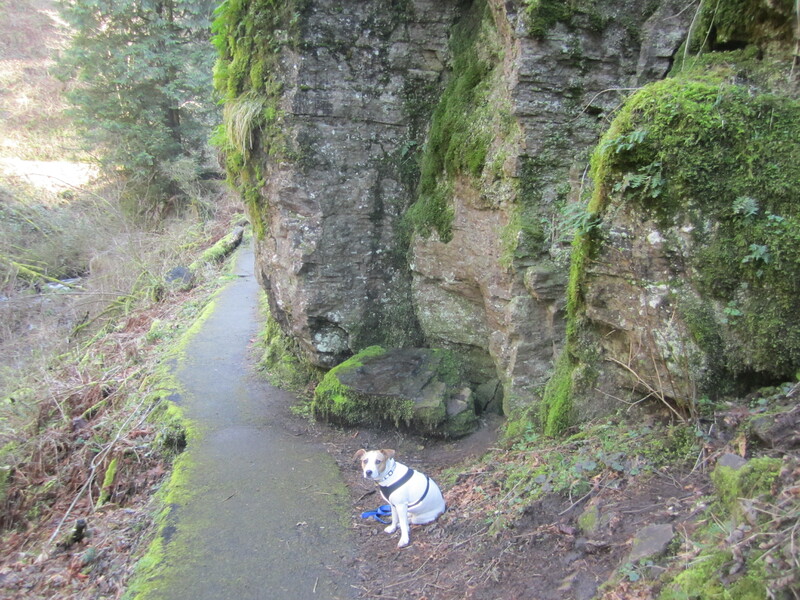 It is not often one gets to walk on flat ground in the Columbia River Gorge. 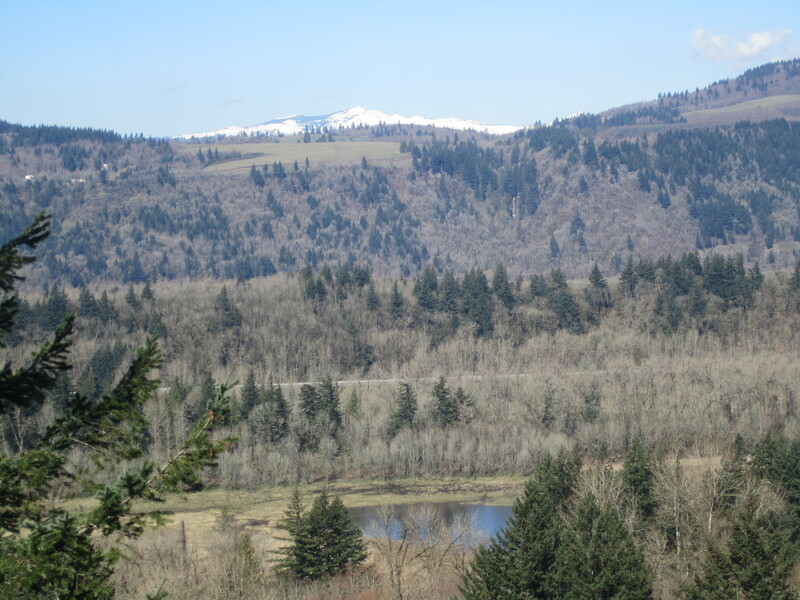 For an area with a wide river and mostly minor mountains, there’s few hikes without healthy elevation gain. For those of you keeping score, that’s what makes it a National Scenic Area. That and the countless classic waterfalls. Sometimes, however, flat ground is the best spot of all from which to appreciate high ground. Rooster Rock State Park has a hidden side, reached best from the east bound exit ramp from Highway 84. 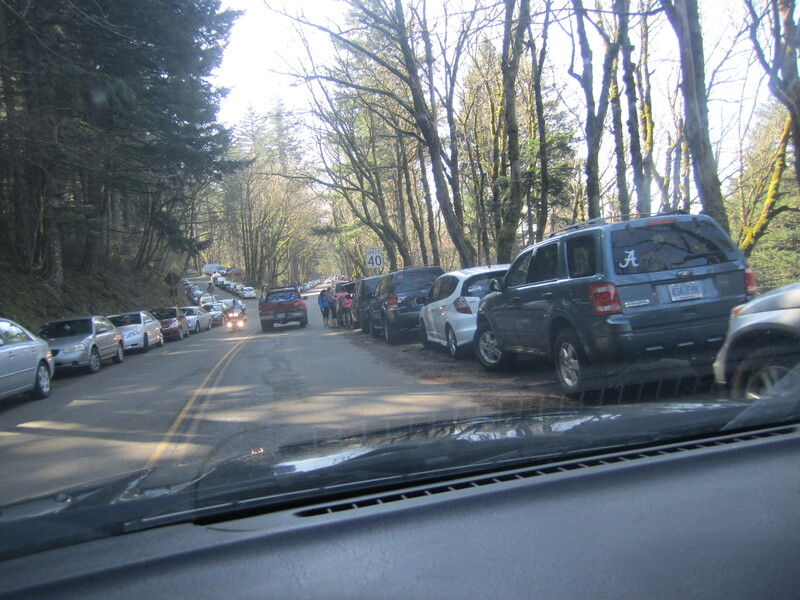 A short access road drops down near Mirror Lake to a tiny parking area. An obvious track leads east over mostly flat ground through a deciduous forest toward open land that does indeed offer great views of the surrounding hills. The walking is easy for the first mile and a half. After that, the land gets more brushy, and I had to exercise care to avoid thorns and stickers which seemed to possess varying levels of malice. I still got some nice scratches on my calves. Waaah. The end goal of the Youngs Creek hike is a bridge over the modest creek. I wandered around the area for a while, trying to get a glimpse of waterfalls above. I could not, although I could see Angel’s Rest in the distance as well as numerous nearby cliffs before I plunked my pack down on the bridge and contemplated the noises of the sunlit world. The highway is near to the north, and the railroad is just below the flanks of the hills to the south. Yet I felt very serene in this so called bottomland, which would certainly look rather different in winter or early spring. Today, however, it was a dry, yellowing land. The forested areas felt very different, with tall grasses and bushes pushing into the shaded track. Another good one in the books. Regrettably, it has been a while since my last post. The outdoor jaunts have been few and far between, so I was pleased to have perfect weather last Saturday for some two legged traveling. I drove east on Highway 84 along the mighty Columbia River, ready to hit some waterfalls with my dog. Jackie stays still when I say so. 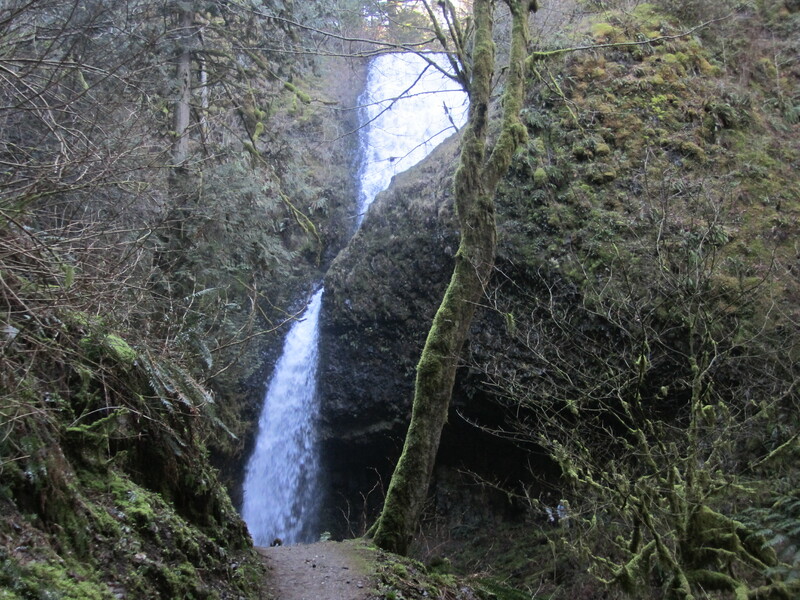 After passing a ridiculously crowded trailhead for Angel’s Rest, I decided on the Latourell Falls Loop, which actually hits two waterfalls. 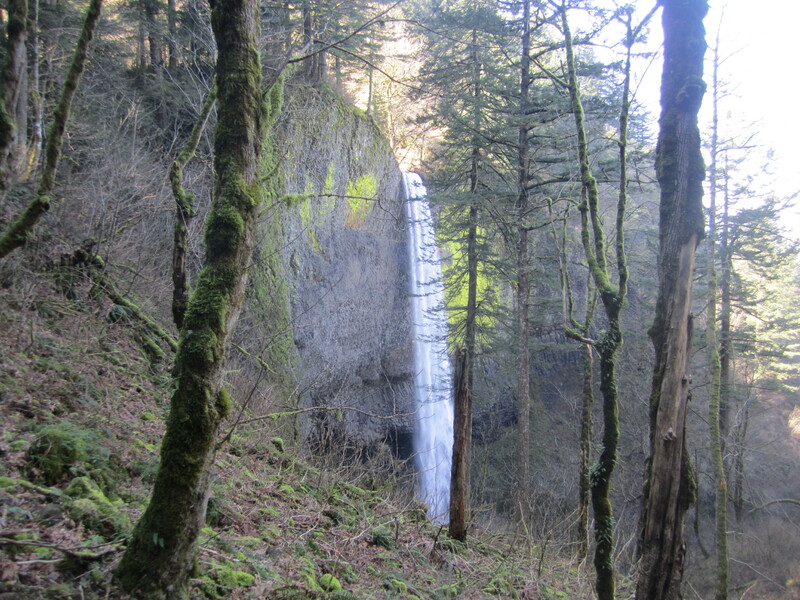 The main falls with its 249 foot plunge can be seen right off the old Columbia River Highway. Fifty yards ups a steep path there is a great overlook of the fall. A crowd has gathered. Continuing past it, I follow a twenty-something guy with a dog, figuring I can keep up. Wrong answer. The trail seems unnecessarily steep at first, and I am gassed quickly. I am getting old! It takes a while to get my groove on, about the point where I get some cool sidelong views at the lower falls. 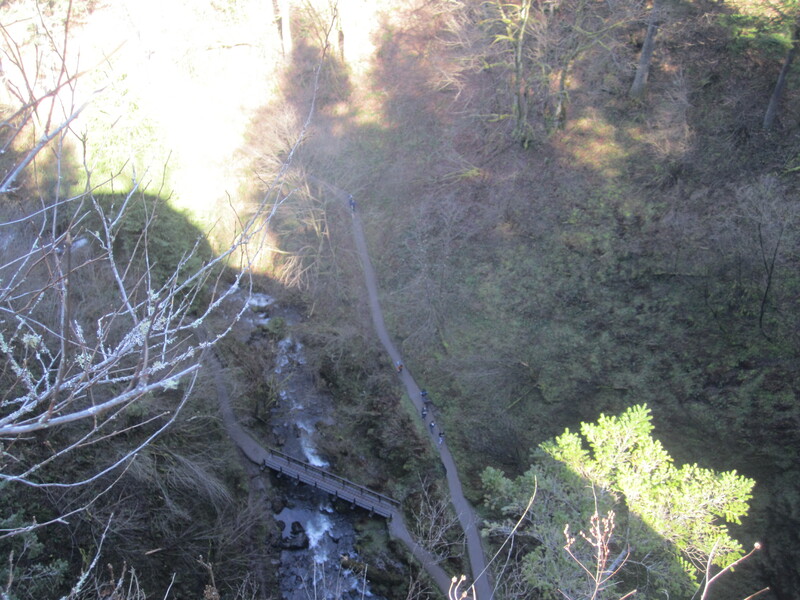 The trail is rather non-descript for half a mile until it nears the upper falls. Occasionally I spy hikers on a path barely fifty yards away across the canyon. 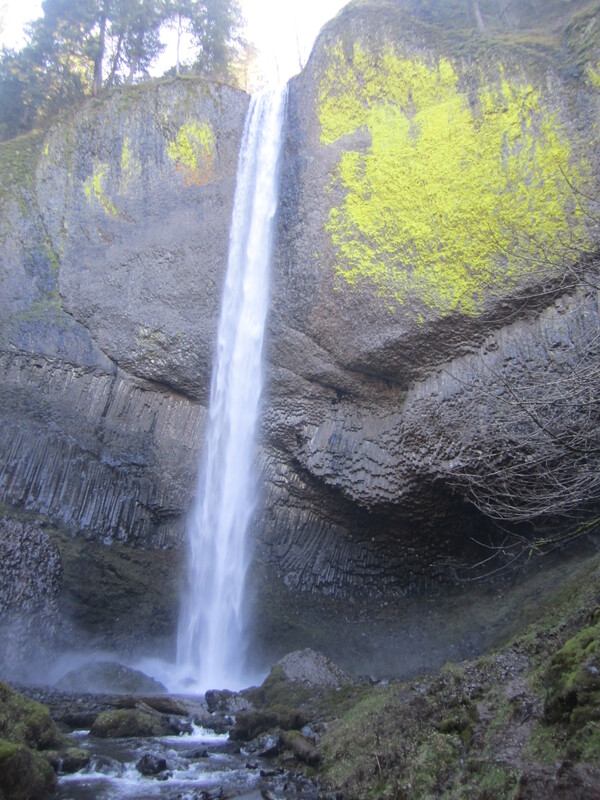 The upper falls is a two stage drop in to a mini punchbowl. Two stage drop on the upper falls. Two men scramble behind the veil of spray as Jackie and I soak in the view. It is spectacular. Then we follow the path across a bridge. It heads back down the far side, hitting more sun, for which I am appreciative. 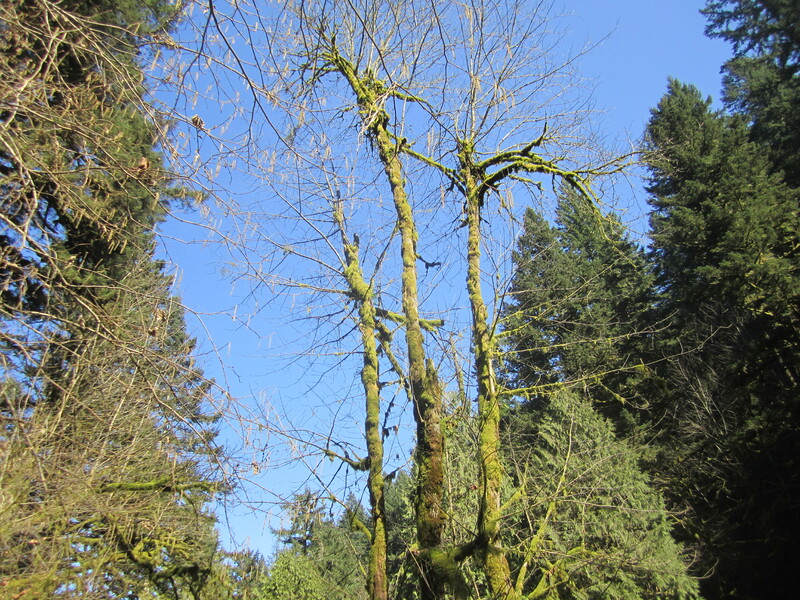 The light seems especially luminous on moss cloaked branches. A tiny spur trail leads to the top of the lower falls. With Jackie on leash, I don’t creep too close to the edge. The view is sublime enough where I am: two hundred fifty feet straight down to splash town. This was the best hike I’ve taken in a month. It starts out challenging but quickly gets casual, there are two spectacular waterfalls, and it even has views out into the Gorge proper. 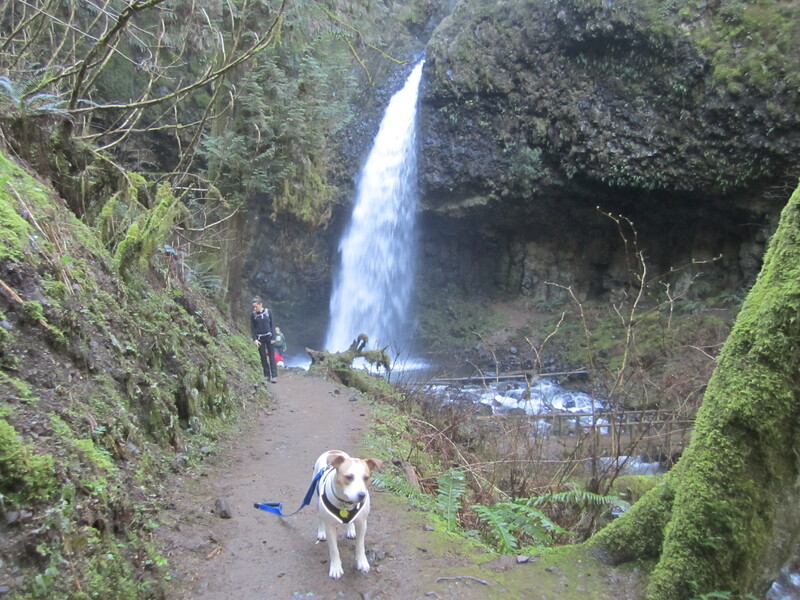 Once past the upper falls, the trail isn’t too crowded. The end of the loop ducks back under the road and returns to the lower falls. 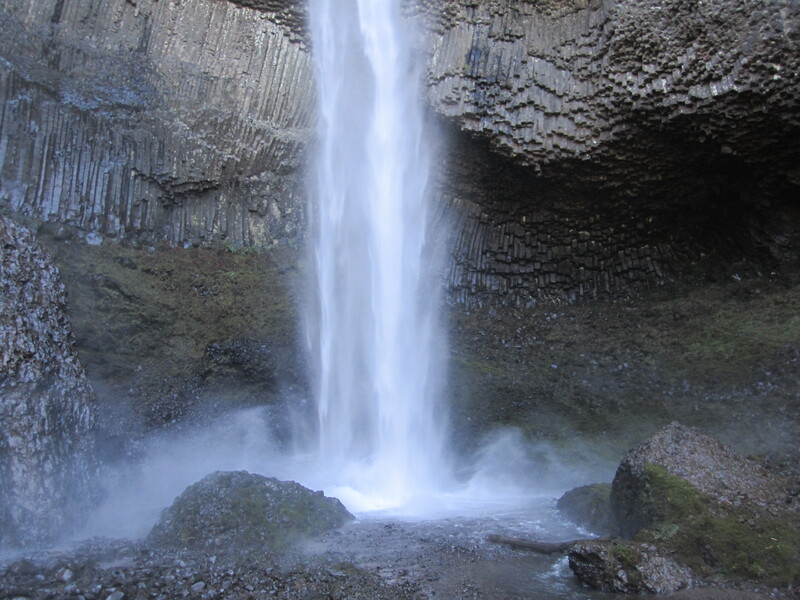 The geometric geology of the basalt cliff behind Latourell Falls is amazing up close from the final section of the loop. What else can I say? As I drive back to Portland, I have a silly smile on my face. Yeah, it was that nice.